City Centre Development - A Brand New Coach Station! 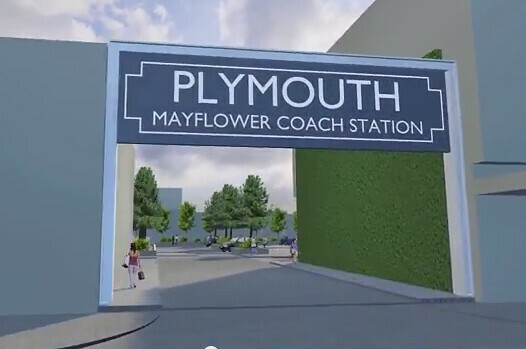 Plymouth's vision to create a welcoming entrance to Britain's Ocean City is taking a significant step forward with plans for a new coach hub and a new leisure development in the city centre. Millions of pounds could be pumped into both the West End and the eastern part of the city centre, as part of a major investment package proposed by British Land, the owner of Drake Circus and the UK's largest listed retail landlord. The Council’s Cabinet is today being briefed on the project and shown the proposals to transform the tired site at Bretonside bus station with a leisure scheme valued at £42 million. 'Drake Circus Leisure' includes a 12-screen cinema complex, 13 restaurants as well as parking for over 400 cars. The development will see extensive improvements to public areas with features, installations seating and planting. The scheme would transform the link from the city centre to the Barbican and the Waterfront, making it far more attractive and easier for visitors and shoppers to move from one to the other. As part of the proposals a new multi-million pound coach hub is envisaged on the site of the soon-to-be-demolished Mayflower West car park, in the city's West End. There will also be public parking for cars. The agreement will means that both Bretonside and the West End of Plymouth will see investment worth millions of pounds, which in turn will generate a new level of interest in both areas. It will also create almost 350 operational jobs and around 260 construction 267 jobs. Councillor Tudor Evans said: "This is a company with a proven record of delivering in Plymouth and for Plymouth and while it is early days, this looks an incredibly exciting prospect." "Our city centre supports over 14,000 jobs and 14 per cent of the work force, but we need to need to mix things up a bit, bring more business and a wider offer into the city centre – which in turn brings in more people to shop, eat and enjoy what we have here." Councillor Mark Lowry, Cabinet member for finance said: "For a long time we have recognised that Bretonside has long passed its sell-by date. We also want to keep shoppers coming into the West End. These two schemes have the potential to address both of these." The Council's cabinet members were also given an outline of how the new-look coach hub might look. The terminal would be a hub for intercity coach services with bays for long-distance coach services, waiting room, booking office, toilets and significant improvements to the look and feel of the streets around the site as well as more parking. Locating the bus hub in the West End could lead to an extra 200,000 people visiting this part of the city centre. The proposal also includes an 'innovation centre' in one of the empty buildings overlooking the site which could get a new lease of life as a centre for start-ups firms run by graduates. It is a joint venture between the Council and Plymouth University to transform Taylor Maxwell House with facilities for fledgling businesses in a central location. This builds on an already successful partnership between the Council and the university at Plymouth Science Park in supporting start-ups and accelerating businesses with growth ambitions. Professor Julian Beer, Pro Vice-Chancellor (Regional Enterprise), said: "The new innovation centre will offer a pathway into the city's economy and marketplace for talented graduates and young entrepreneurs, and will work in tandem with our Formation Zone incubation spaces here on campus, the Science Park, and the GAIN network. "From our experience of running the hugely successful Innovation Centres in Cornwall, such creative ecosystems offer a great opportunity for businesses to work together and develop joint pitches and expertise." Councillor Lowry said: "City centres evolve and must constantly change in order to thrive. 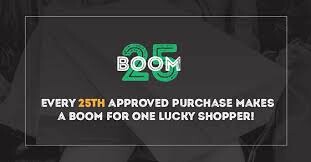 These are exciting times for Plymouth and its retailers and I hope they are encouraged by the new levels of interest from significant investors who believe in Plymouth. We are working really hard as a city to attract inward investment and are meeting a lot of interested parties – this is just the start." Councillor Mark Coker, Cabinet member for Transport added: "Visitors and passengers who come to Plymouth need a good impression from the moment they disembark. This new bus hub will help us achieve this." A Plan for Plymouth City Centre was presented at the Cabinet and gave details of how the Council and partners are delivering initiatives and actions, investing significantly in the city centre with projects that are truly transformational. Plymouth's historic past and rich cultural offer is enjoying a £73 million investment from city partners including the Council, Plymouth University and Plymouth College of Art and Design. North Hill is attracting new visitors enjoying arts and cultural events in new state of the art facilities thanks to a £36 million investment in the Levinsky's faculty of arts (including Peninsula Arts gallery), the University's new £7 million performing arts building and the College of Art’s new £8 million creative workspaces. Also in the pipeline is Plymouth's History Centre. It's a £24 million project to transform the existing museum into a cutting-edge interactive visitor attraction. Doug Fletcher, Chair of the City Centre Company said: "I am delighted to see the City Council prioritising the City Centre given its importance to Plymouth. The Plan for the City Centre is to be welcomed and in particular it is pleasing that the West End is being prioritised with a new coach station and Council premises becoming major new anchors and driving vital footfall." For more information visit our Plan for the City Centre page. So, what do people think of the new Mayflower Coach Station? I have seen plenty of comments that it is too small, but is this such a big issue? There are hardly any bus services using Bretonside these days. This coach station seems to be purely for long distance coach services in which case it seems big enough to me. Its hard to tell from the flythrough but it seems that there might be room for a few coaches to layover at the opposite end to the main bus stop shelter. The one big issue which I can see as a potential problem is the access to the station from Mayflower Street. It seems a bit tight! They will have to lose the on street parking there as otherwise it wont work. Space is already tight so having large coaches (14M) pulling in and out can only make it worse. If they keep the road clear then hopefully this will work. We know that finding a new coach station for the City Centre is going to be a compromise as there are not a lot of large empty spaces sitting around waiting for development. The location seems a good one if they get the access right. I do like the look of what is going in at Bretonside too as that is an area which desperately needs sorting out. As the gateway to Plymouth for many visitors, Bretonside has been a disgrace for too many years now. La Révolution de Midibus Électrique et Gratuite  But we are back to politics; the UK's determination to keep direct taxation low and France's willingness to tax and spend. Ultimately it's the ballot box which will decide the future of green (at the point of use) public transport. Council check: Bristol City Councill Each Sunday we review how one of our local councils provides information on public transport. Today it's the turn of Bristol City Council. Edinburgh tram testing stopped by parked car IT has taken seven years and cost £776 million to build however a piece of dodgy parking is enough to stop Edinburgh’s new tram system in its tracks. Mysterious [+] Missing [-] Megabus [+] : part 2 But of Megabuses, not a sign. Was it all some kind of ghastly dream? Surely not; the web site definitely, after several hours of prodding, gave us a journey to Cullompton and beyond. The Irisbus Agoraline in Norfolk: A brief history ~ photo special The Irisbus Agoraline is a common sight on the continent including a particularly large number present in France, it is however a very rare bus in the United Kingdom with only just over 20 assembled by Optare. Mysterious [+] Missing [-] Megabus [+] : part 3 Whilst several blog readers have jumped to the defence of Megabus, fbb feels that the whole Honiton project is a disaaaster darling. Whether that is intentional or simple incompetence is open to further debate! Love the retro sign - (Bournemouth c 1935). Seriously, I think the design is pretty average - the 'glass-box' boarding area is disconnected from the ticket / waiting area and something more integrated is needed here. Plymouth isn't exactly renowned for sunny days. The enclosed nature of the site with the surrounding buildings could also be quite threatening for late-night passengers. Capacity isn't an issue as there are few touring coaches these days and not that many scheduled services either. Personally, I would have preferred a site at North Road Station in conjunction with its long hoped-for redevelopment. I think we can all agree that Bretonside is well passed its sell-by date! I like the idea of Mayflower coach station, but surely if this happens then its going to kill more of the City Centre. Ever since Drake Circus was built the City Centre has been slowly killed off, I think these plans will only make it worse! The problem is with Plymouth, the train station is a fair distance from the City Centre, and the current bus station is home to the druggies and weirdo's!! Its not like Exeter which has a central station in the City Centre! Not sure if all of this development will kill off more of the City Centre. Its bringing much needed investment in the bottom end of town. If the new drakes circus development brings more people in to the city centre then they might just wander down to the bottom end of town. I guess what is really needed is the much promised development of the bottom quarter of town. That would balance things up a bit. I am not so sure about the comparison with Exeter though. Is Bretonside bus station any less central than Exeter Bus Station? It is used a lot better though! After Drakes Circus opened footfall dropped dramatically in the West end of town (by at least 60%). The closure of any remaining large stores (Littlewoods, Woolworths and Derrys) has since caused footfall to drop even further and I'm afraid that people who park at Drakes Circus simply do not walk down to the West End - it's too far (especially when it's raining) and unfortunately there are now few shops down there worth visiting. I can see the Bretonside development making this situation even worse - 400 more parking spaces just across the road from Drakes Circus and a loss of quite a few parking spaces from the Mayflower West car park is hardly a help to the West End. Also the coach station is unlikely to bring in many additional shoppers. However I do agree that something needs to be done to Bretonside - it's an appalling gateway to the city. I was more thinking about Plymouth Railway Station, rather than the bus station! In an ideal world I think a proper transport interchange at North Road would be great, but its just not in a convenient location, as its too far from the City Centre. I see where you are coming from re the closed nature of the site, but its still a lot better than Bretonside. Bretonside is a dump but only because no PROPER money has every been spent on it. If there was proper political want (which face it, there never is when it comes to transport. I suspect these plans have only come to light as there's an election on its way and/or selling the land raises a quick buck), then Bretonside could have been made fully accessible and integrated with Drake Circus from the off. The buildings under the viaduct are not structurally integral and could easily be demolished, the shell sealed and proper enclosed waiting facilities erected, likewise lifts could easily be installed to link all levels. If necessary an upper deck level with the viaduct could be built to accommodate either local buses or retail, or if not then shelters/canopy with RTI can be provided on the lower level. A station controller/passenger assistant could be employed to patrol the area. There is nothing intrinsically wrong with Bretonside except that is been allowed to decay. It seems that chucking money at new projects is easier than looking after what you already have. Once this spanking new coach station has been built, how longer before the budget cuts mean it becomes another neglected Bretonside? The Mayflower Coach Station idea seems to be an exact copy of what Winchester is in the process of getting rid of! This new proposed coach station seems to be a bit of a half-hearted job IMO. I guess the council want to release the land at Bretonside for more lucrative things, and sticking a smaller coach station in the wheelie bin store / service alley behind Mayflower Street seems like cheaper compromise, towards having no coach station at all. The trouble with the bottom end of town is there is nothing there now to draw shoppers there. The market is a shadow of its former self - but need not be - but even a revitalised market will not draw shoppers if it is not supported by other attractive shops nearby. The most westerly branch of a major chain is WH Smith's - and I am quite surprised that they didn't look for new premises in the Drake Circus area. The real blighting feature, though, is the large empty Co-op department store. Now if John Lewis could be persuaded to move in there (a very big ‘if’) - and Argos could go to allow the Royal Parade frontage to be restored to the department store - the rest of the city centre would then lie between two strong anchors. Which leaves buses and coaches. Unless I have missed something, there doesn’t seem to be a new bus station in the plans, only a coach station. If the car park area could be used for public transport, the site looks big enough for a bus and a coach station - and knocking a shop down to widen the entrance would make access for large coaches quite easy. I imagine the main pedestrian entrance would be through to Armada Way with the booking office, waiting room and cafe there. A pedestrian route through to Royal Parade would be useful, too. But both projected developments look interesting. It's nonsense to bring long distance express coaches into a city centre which is plagued by traffic congestion on a good day. Better a site similar to the George junction was constructed in the old marshaling yards at Marsh Mills, just a couple of minutes off the A38 with a frequent bus link to the city. Would easily take 45 minutes off a Penzance to London journey. There is one large dilapidated area waiting for redevelopment, Colin Campbell Court. I have seen so many people suggest this location for the new Coach Station. Plus there were plans to redevelop it years ago, the owners I think would be very receptive. However there were problems with compulsory purchase orders for some of the buildings being thrown out by the Planning Inspector. I feel the Mayflower location is too out of the way and the buildings backing on to the coach station carpark are some of the worst to look at. From the staircases you can see in the north west corner it seems obvious they are not planning to knock down these buildings. Welcome to Plymouth, home of dilapidated concrete. It looks quite good, but it is small. Two concerns. First, how safe will it be on busy days, with passengers walking around and conflicting coach movements? Second, will car park queues affect entry to and exit from the coach station? I agree that Colin Campbell would have been a better choice, but this has been on and off for more years than Bretonside development has! If and when they can get something going down there then it would open up the whole of the City Centre and give people a reason to venture down to the lower 'independent quarter'. I guess that as Bretonside is now starting off and the money will be available and the Mayflower site is already owned and available as the car park need to be demolished anyway it makes sense to proceed and stick the coach station there rather than wait to see when / if anything ever gets going at Colin Campbell. Aside from the location, I would question whether the internal layout is workable. It looks to me rather typical of the work of developers, who place coaches from above, like toys on a play mat. To drive a coach in and out, en route to Penanze or London will involve reversals in quite a tight rectangular space. If there are coaches parked up on layover, as well as some on stand, it will be a real struggle. A rectangle of this, apparent, size provides a poor layout for manoeuvring. Far better to use diagonals. And better still to avoid conflict with cars on the approach roads. About the only thing that I do like is the overhead sign - reminiscent of Winchester bus station, which itself is about to be demolised! Do we really need another 400 parking spaces? Plymouth City Council have approximately 1500 spaces, Drake Circus 1270 and now the proposed 400 for the Bretonside devolopment. There are no proposals for a Bus Station, the Council should be encouraging bus travel into the city centre to ease congestion. I agree with Petras message abput the proposed Coach station and looking at the entrance I am sure double deckers wouldn't have access. Anything is better than Bretonside which has been allowed to decay to such a level that is has become an embarrassment to the City and what we are trying to project. If the "New" coach station is a temporary fix then fine but lets have some serious long term thinking to provide a 21st century solution to attract travelling coach services to visit Plymouth regularly and bring in much needed outside spending. Looking at the video of the coach station again, I can see the point about coaches reversing - it may be repeating the mistake made with the original design of Tavistock bus station. It would also not be difficult to have a bit more glass roofing so that passengers can move from the waiting room to the coach without getting wet. Railway stations were designed with canopies for just that reason. Instead of having a car park in the bottom half, there would be room for either a bus station for the longer-distance service buses or drop-off points for visiting coaches.